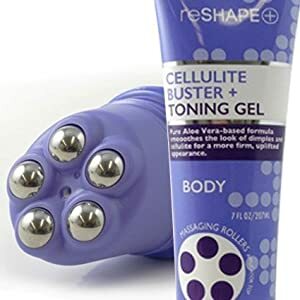 Reshape + Cellulite Gel for body. Buster & Toning Gel with Aloe Vera & Seaweed. Smoothes the look of dimples and cellulite. 8oz Hands free applicator with massaging rollers.